Have you ever sold an item on an online auction site, or even to someone else in your local area? Then you will understand how hard it can be to package and ship them through a local courier. After all, you have to think about how you are going to protect it throughout its journey and you also have to think about how you are going to make sure that it arrives on time as well. If you are using a courier then it helps to use some kind of cardboard box so that your item arrives without being damaged. The way that you package your items will also tell your customer a lot about your level of customer service. If it arrives early then it shows that you have really made the effort and if it arrives late then it shows that you are not as committed to your customer satisfaction. When packaging up your item, you have to make sure that you don’t use a box that is too big or too small. If the box is not the right size then it may get damaged in the post and you may also find that there is not enough room for your packaging material as well. If you want to get the best result out of your packing then make sure that you use a box that is slightly bigger than your item. This even applies if you own an online store. This way you can package it properly without having to worry about it moving around or getting knocked. You can easily use things like bubble wrap, foam peanuts or even newspaper to try and protect the item so you can make sure that it arrives properly. Before you tape the box shut, you have to make sure that you shake the box first. If the item shifts then you will absolutely need more packaging material. 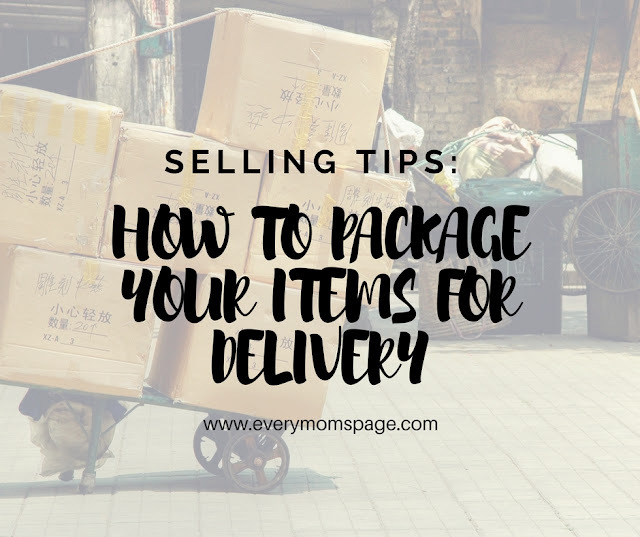 This will help you to protect the item and it will also help the buyer to know that you made every effort to make sure that the item arrives properly. If you tape the opening shut then it also helps to reinforce the seams of the box as well, just to make sure that there are no gaps. You’ll want to use paper tape that is around 2 inches wide or you can use brown/clear packing tape. Standard Sellotape is not a good option here because it won’t be thick enough to cover the edges of the box and it isn’t anywhere near as strong as it needs to be. So now you know how to package your item, it’s now time to choose the right courier. Couriers such as Shiply are ideal here because they will always take care of your item while also making sure that it is in the best possible condition for when it arrives at the destination. It helps to choose a courier who is going to deliver your item in 24 hours as well, and this is especially the case if you are shipping a fragile item or even an item that is time sensitive.